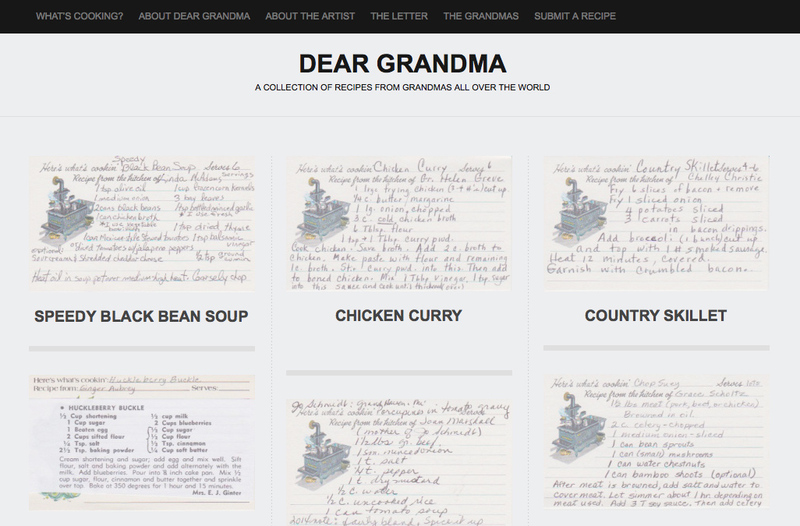 Dear Grandma developed from an old discolored paper tucked inside my grandmother’s childhood cookbook, Kitchen Fun: A Cook Book for Children. My mom presented me with the book when I was home for a visit knowing I was interested in my family’s food history. Tucked inside I found a worn paper that I gently unfolded to discover several recipes covering the back of a restaurant menu. I imagined that my grandmother had written them down years ago from a memory that was so ingrained she had no need for a recipe card. Upon this moment, I set out to preserve the history that I feared would soon be gone. ﻿I went searching for family recipes that had been passed down from generation to generation, prepared from scratch, and working from memory. It soon expanded into a collection of recipes from the global community. 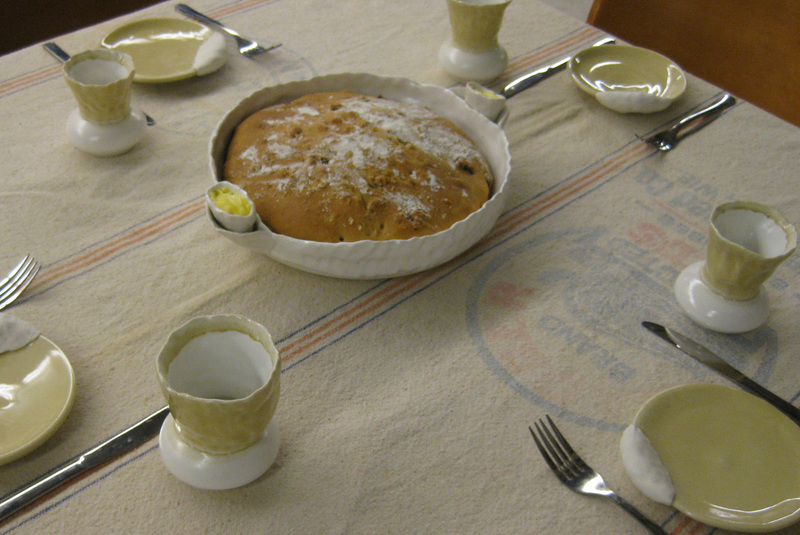 Working towards the design of a food specific vessel I started by making a recipe for Irish Soda Bread. It had been sent to me from Jean Howly a grandmother I did not know personally. She included a copy of her original recipe and a note that read “My Irish born mother in-law paid me a compliment, when she said for a little German girl you make the best Irish Soda Bread I ever tasted. Now I loved this woman till the day she died but she was not big on compliments, maybe that’s why I enjoyed it so much. 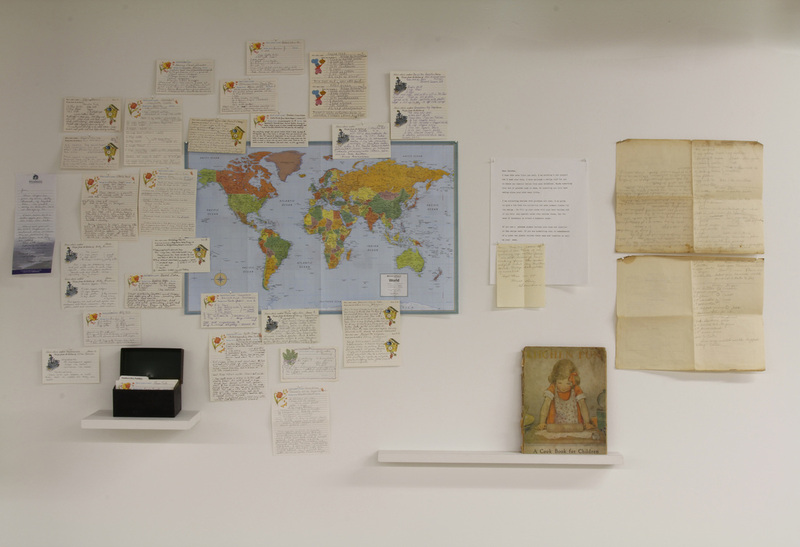 I hope you enjoy it.” I chose the recipe for the story and its specificity. I purchased the ingredients and struggled through my first attempt to make the bread. I realized that without someone guiding me with the unwritten knowledge the recipe was not going to work. I reached out to the grandson Jack, whom I knew, who met with his grandmother to make the bread. He reported back to me and shared all the knowledge he had learned as well as thanking me for the experience of making bread with his grandmother, something he would not have done without this project. After my attempts at making the bread I created a ceramic serving dish that measured to fit bread baked in a 10 inch cast iron skillet. 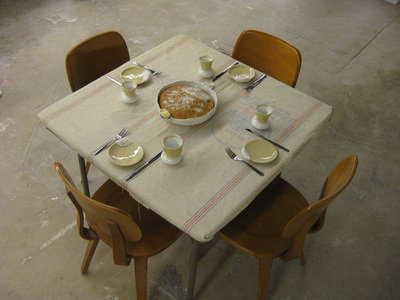 The dish is round with and edge to contain the bread and removable pockets on each side that hold butter and are easily removed to use and wash. I served the bread in the dish and shared it with Jean's grandson Jack. We talked about the recipe, his family, and why this bread was important. 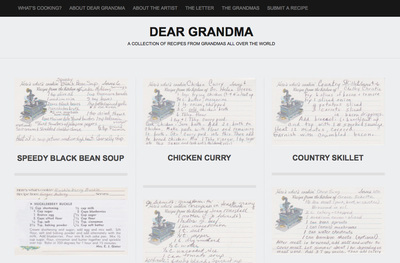 The Dear Grandma recipe collection is published on the blog deargrandma.wordpress.com. 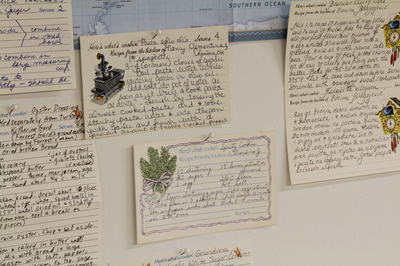 I originally collected the recipes in an effort to preserve them for future generations. I am now interested in recipes specific to my family history and creating ceramic objects based on the use of these collected recipes. My hope is that in traveling to Denmark (in the near future) the country of origin for my family I will be able to reconnect with these recipes and further develop the project.